Eriez Magnetics says plastic manufacturers in Europe are continuing to invest in its PM Grate Magnets to improve product purity, prevent costly damage on downstream equipment and reduce processing downtime. The Eriez PM Grate Magnet is employed for the removal of ferrous metal contamination from free-flowing materials and utilises the magnet for the removal of contamination from plastic pellets, flake and regrind prior to the injection moulding machine, extruder or compounding equipment. 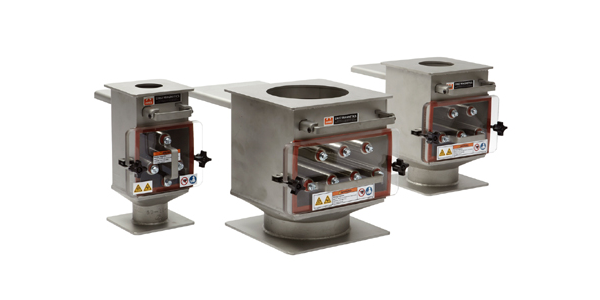 The permanent magnetic separators have been successfully installed throughout companies in the UK, removing fine and weakly magnetic particles from material flow. Suitable for use up to 120ºC, they are available in 152mm (6″) and 203mm (8″), with a stainless steel housing, slide gate to shut off material flow. Eriez offers solutions and a range of magnetic separators, metal separators and metal detectors to remove all types of metal from the process.